There are lots of villas for sale in the Marbella and Mijas Costa Areas. Many are designed to look impressive, sometimes at the cost of practicality and pleasure of living. This lovely villa in Mijas Golf is one of our favourites. 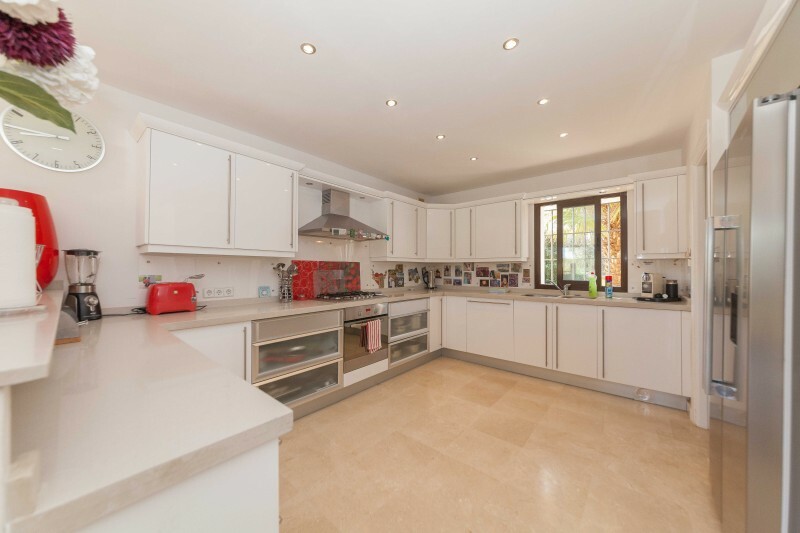 It is in a lovely location on the front line of the golf course and close to open countryside whilst only being a few minutes drive from the amenities of Fuengirola, the Miramar shopping centre and the beaches. Alhaurin El Grande is only about 10 minutes away and 20 minutes will see you in Marbella. The villa is beautifully designed. 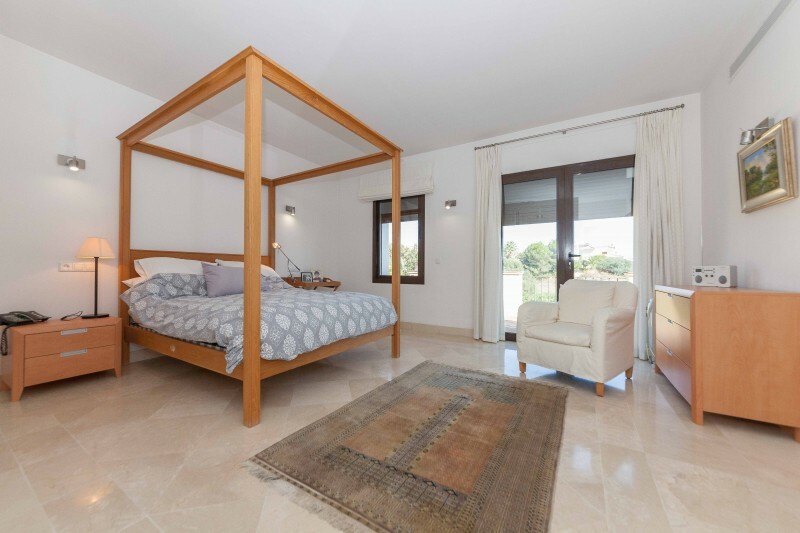 The bedrooms are all of similar size and have plenty of wardrobes and each has its own en-suite bathroom with under floor heating. Every member of the family will be happy. On the ground floor there is a sitting room with fireplace together with a super open plan dining room leading through to a cook's kitchen which has plenty of space, quality appliances and even a walk in larder. On the lower floor, with natural light, there is a large family living area with space for the oversized tv, games area and study area etc. Families need storage and there is plenty of storage built into this house including a large store room and the double garage plus extra built in wardrobes/storage cupboards on the lower floor. To the rear of the house there is a good sized flat garden, perfect for that mini football pitch plus a swimming pool. The full width covered terrace over looks the garden and is perfect for dining and relaxing. We don’t think you can find a better family home and if you would like more details or an appointment to view all you need do is press the “request Information” button and we will get back to you.